Looking for a modern, stylish way to feature merchandise? 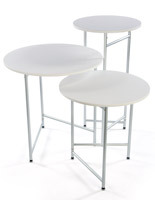 These retail nesting tables create large countertops for promoting products. 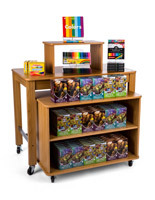 Each set includes two or more stackable tabletops that create eye-catching presentations for products. 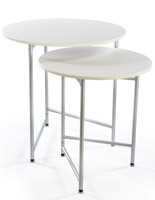 Retail nesting tables attract customer attention when placed side by side or overlapping each other. They're the perfect size for featuring clothing items and accessories like shoes, hats, and purses. 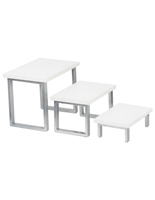 Our retail nesting tables for visual merchandising are available in a variety of designs to match any outlet. 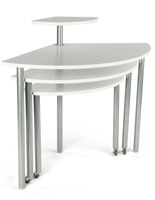 What features come with these tiered tabletops for merchandise? 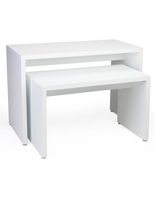 Modern retail nesting tables have a sleek design and feature one solid color. These minimalist displays don't distract from the merchandise these they hold. 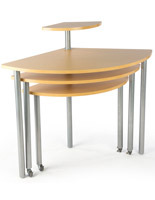 The smaller models fit flush into the larger units for a truly professional appearance. 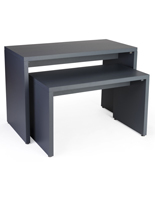 Choose from our matte MDF line or our metal and fiberboard countertops with lustrous finishes. 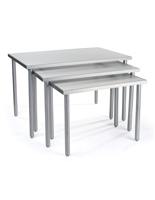 Our steel merchandising nesting tables are highly stable and have a semi-gloss MDF tabletop. 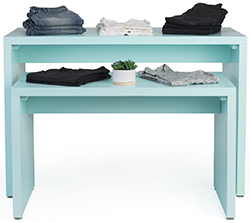 This retail furniture features an affordable fabrication that's ideal for shops on a budget. 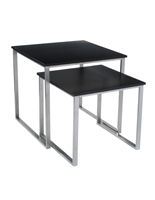 These countertops with a silver steel frame have neutral finishes that go with any décor. 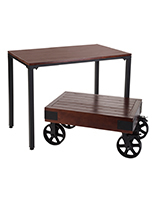 Industrial rustic nesting tables feature vintage designs with natural wood grain finish surfaces and metal pipe frames. This style is ideal for stores with an old-fashioned theme. 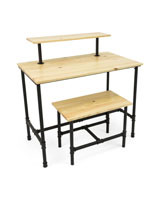 Browse more vintage style industrial rustic fixtures for a complete, trendy look. 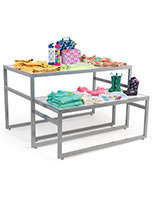 These modern tiered tables for retailers make great tools for visual merchandising because of their versatile design. Because they only have a flat surface, any product can be laid out on the surface. 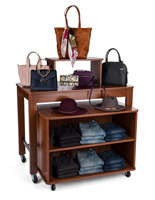 Folded clothing, bags, and accessories are ideal for this showcase area when used in garment shops. 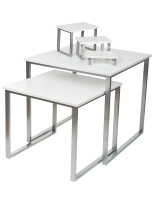 Each tabletop set includes two or three display fixtures that store owners can position for the perfect presentation. 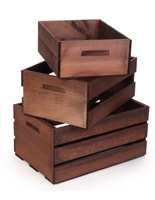 Place the them together or separately, whatever matches your space requirements. 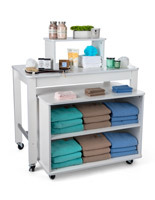 These tiered merchandisers are easy to store when they need to be moved out of the way. 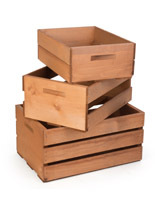 Simply stack the tabletops over one another for storage. 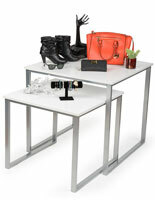 All of our tiered tables for visual merchandising are made to accommodate the needs of your business. 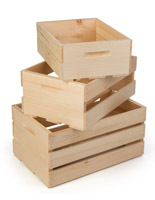 The fixtures ship flat and are easily assembled in minutes. Many of the countertops feature floor levelers for stable footing no matter where they're placed. Other models have rubber feet that protect flooring from damage and scuffing. 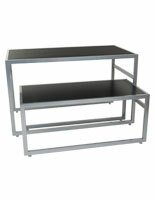 Choose from a large assortment of counter height merchandisers, all offered with fast shipping and wholesale pricing.